Chipotle has temporarily closed a Dallas location three weeks after a customer posted video of mice inside. After the video was posted, the company said the mice had gotten in through a "small structural gap" that was soon repaired. Now the company will "thoroughly assess the construction of this 100-year-old building," spokeswoman Quinn Kelsey said. Employees can work at other locations in the meantime. The closure was reported earlier by The Dallas Morning News. 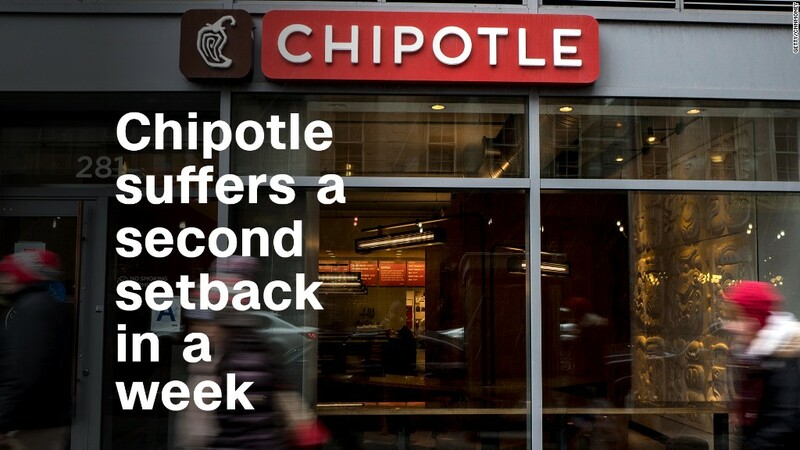 Chipotle, which has more than 2,200 restaurants in the United States, has had a rough stretch. A location in Virginia had to be closed last month when people contracted norovirus or a similar illness after eating there. And hundreds fell ill with E. coli and norovirus in 2015 at about a dozen restaurants. Chipotle (CMG) stock has lost more than half its value in two years. It was down about 2% on Thursday.